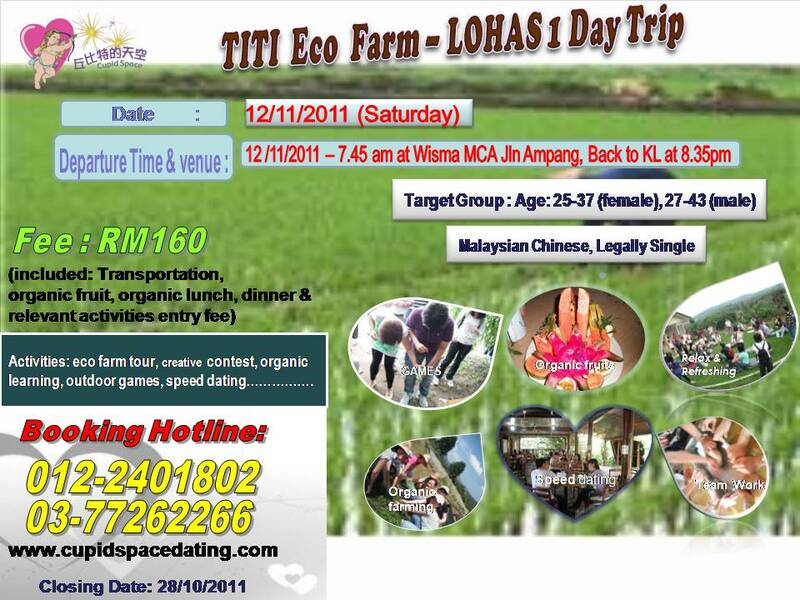 Cupid Space Activities Center is opening on 5/11/2011（Saturday) form 10.00am -2.30pm at Damansara Perdana venue for cupid member to do the computer matching service， those member whom are interested to do the computer matching, pls call 03-77262266/012-2401802 for appointment. Venue : Bayu Timor Restorant & kafe at 13 Jln SS 24/8, Taman Megah, PJ. 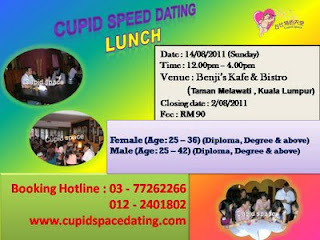 地点: Bayu Timor Restorant & kafe at 13 Jln SS 24/8, Taman Megah, PJ. 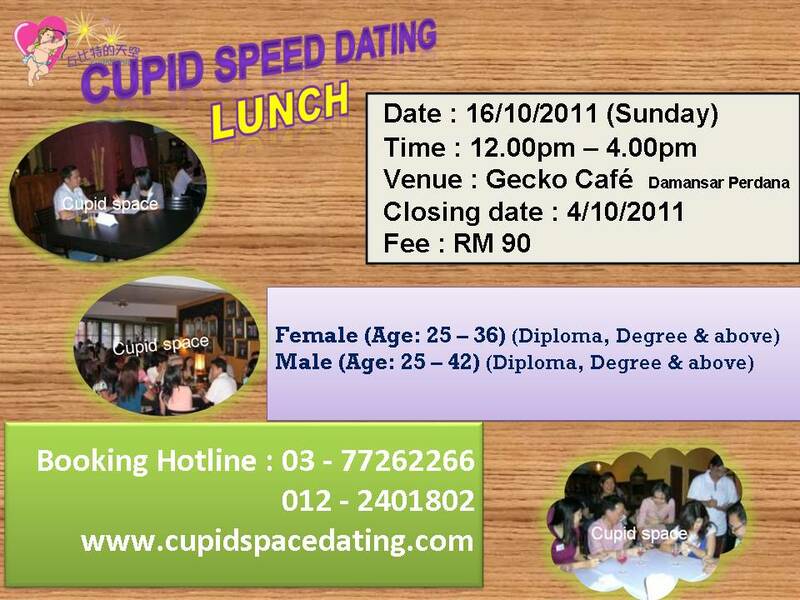 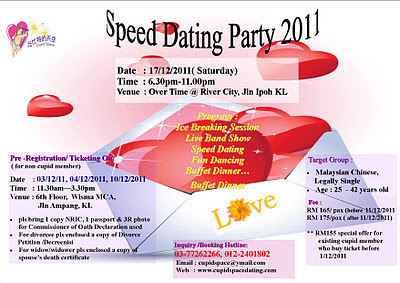 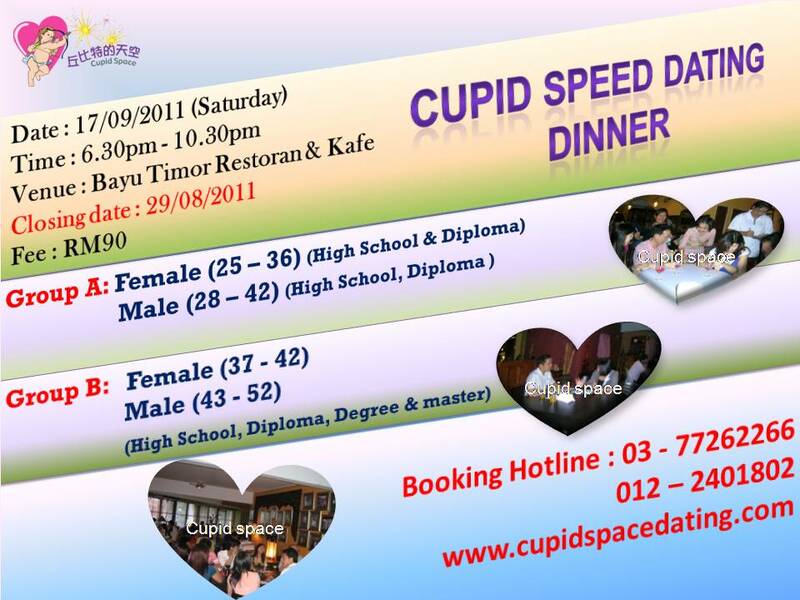 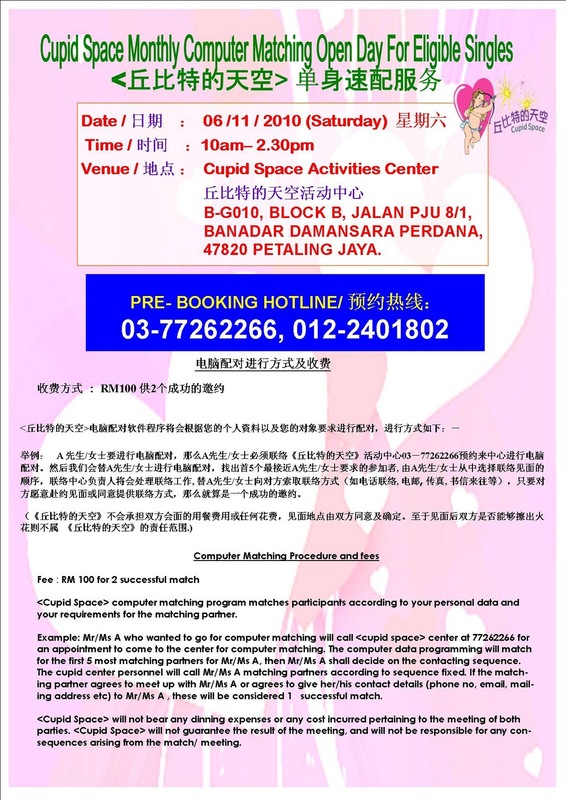 Cupid Space Activities Center is opening on 10/09/2011（Saturday) form 10.00am -2.30pm at Damansara Perdana venue for cupid member to do the computer matching service， those member whom are interested to do the computer matching, pls call 03-77262266/012-2401802 for appointment. 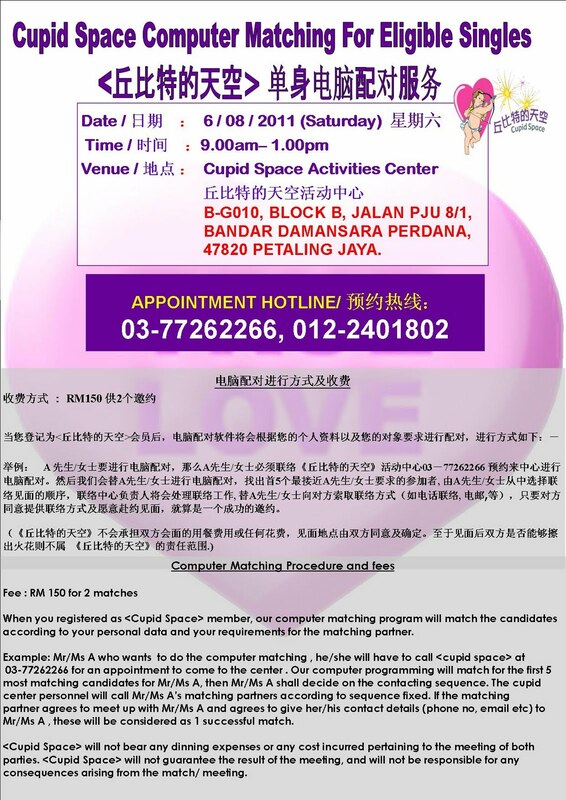 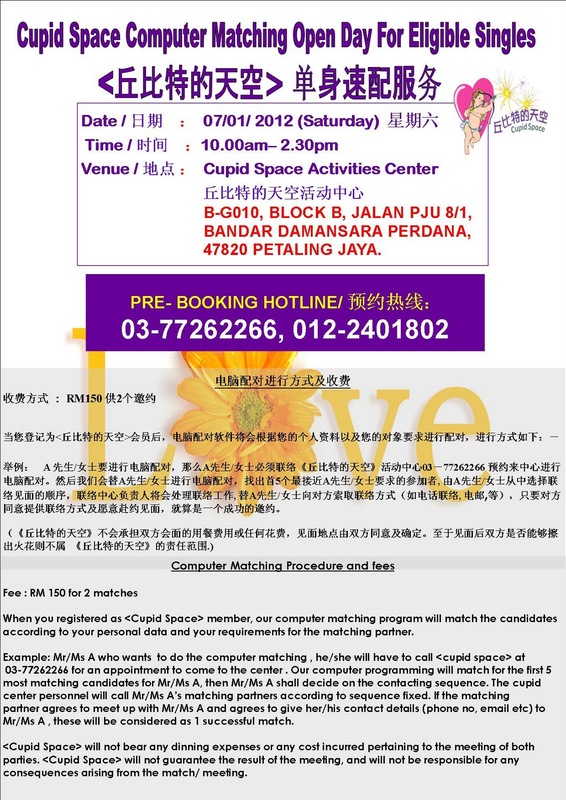 Cupid Space Activities Center is opening on 6/08/2011（Saturday) form 9.00am -1.00pm at Damansara Perdana venue for cupid member to do the computer matching service， those member whom are interested to do the computer matching, pls call 03-77262266/012-2401802 for appointment. 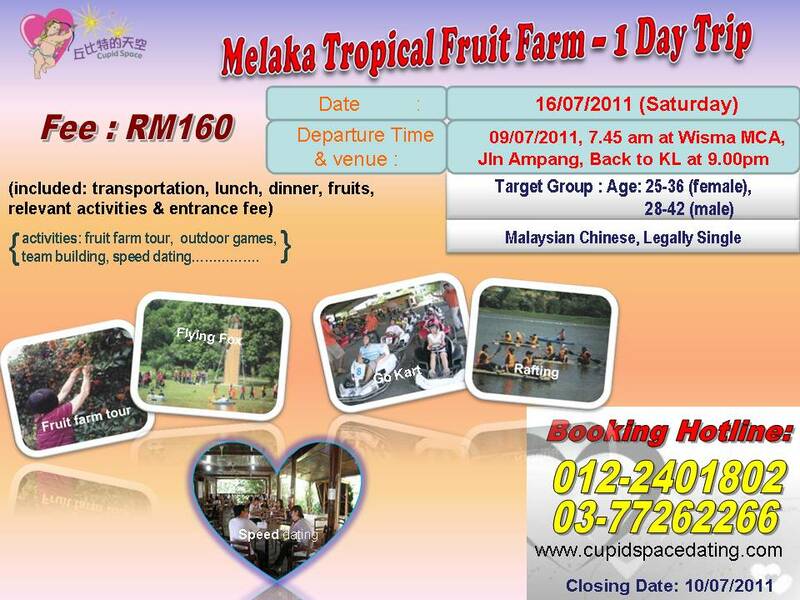 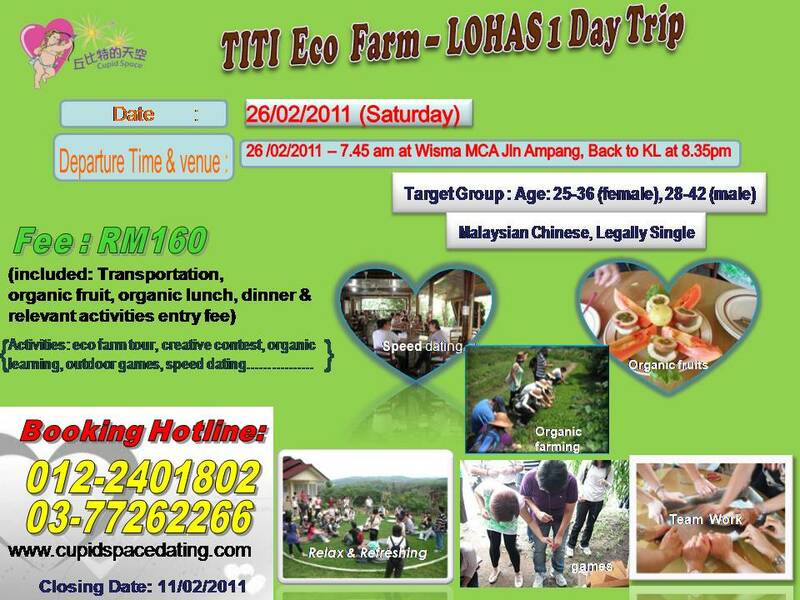 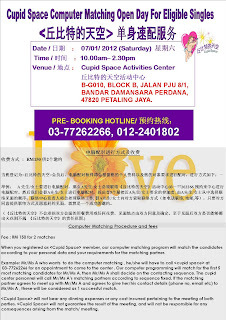 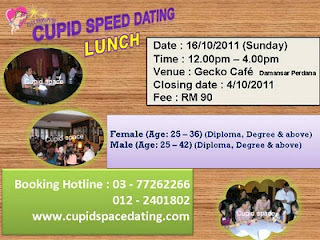 Cupid Space Activities Center is opening on 11/06/2011（Saturday) form 10am -2.30pm at Damansara Perdana venue for cupid member to do the computer matching service， those member whom are interested to do the computer matching, pls call 03-77262266/012-2401802 for pre-booking.